Staircase to the upper temple. 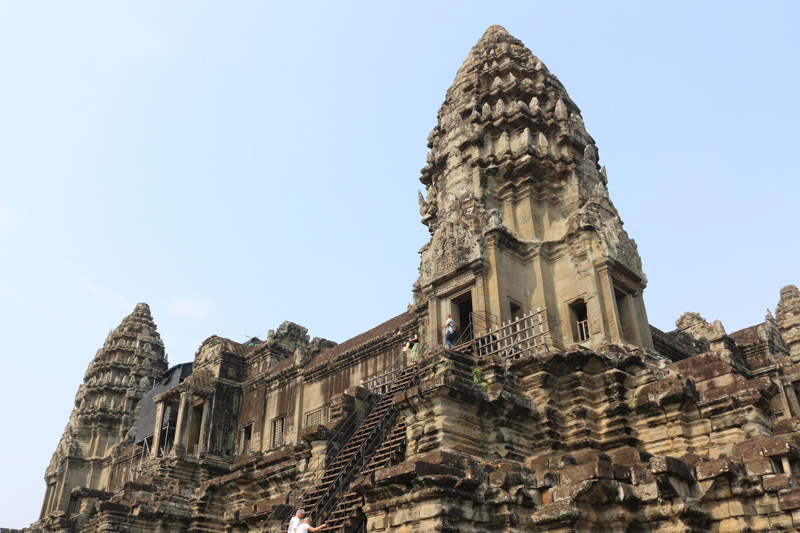 It houses the main five temple towers that are shaped like a lotus flower. The largest of them (in the middle) is 65 meters high.